Born Modern is a showcase of the work of the seminal mid-century modernist designer Alvin Lustig. Curated by a noted design author (and diehard Lustig fan), Steven Heller, this volume exhbits Lustig's highly influential book jacket designs, architecture, and industrial design. Steven Heller is an editor and writer on design. 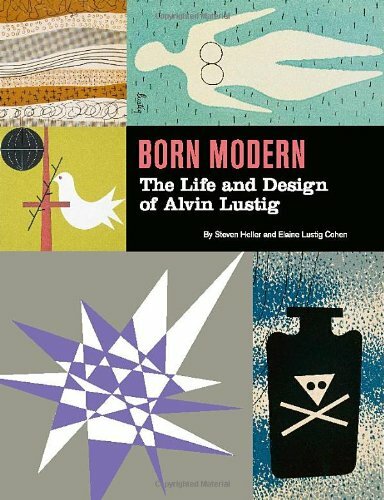 Elaine Lustig Cohen, wife of Alvin Lustig, is a book and jacket designer and artist.